Peter Telep is the author of more than forty novels. His collaboration with Tom Clancy, Against All Enemies, debuted at #1 on the New York Times Bestsellers list. Additionally, he has written many bestselling novels based on Tom Clancy’s Ghost Recon, Endwar, and Splinter Cell video game series. His standalone military thriller, The Secret Corps, was published in hardcover by Ulysses Press. The novel has been endorsed by dozens of Marine Corps veterans, including Captain Dale Dye, who trained the cast and crew on the Oscar-winning film Saving Private Ryan and starred in the classic war film Platoon. Telep is also a produced television writer, having penned episodes for the NBC hit crime drama In the Heat of the Night starring Carroll O’Connor and the animated show The Legend of Prince Valiant. Telep’s latest book series is a science fiction adventure following the exploits of sixteen-year-old Doc Harrison, who wakes up on an alien planet destroyed by his own father. The books have been optioned for a television miniseries by executive producer Bryce Zabel, former president of the Academy of Television Arts and Sciences and co-owner with his wife Jackie of Stellar Productions. 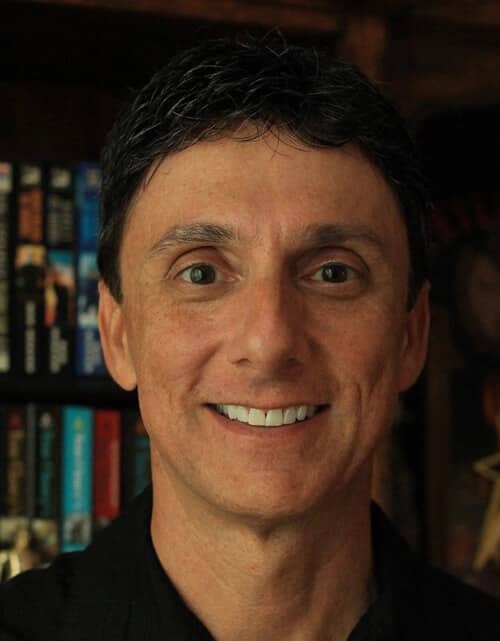 In addition to writing novels and screenplays, Telep is an Associate English Instructor at the University of Central Florida where for the past eighteen years he has taught courses in fiction writing, script writing, and writing for video games.